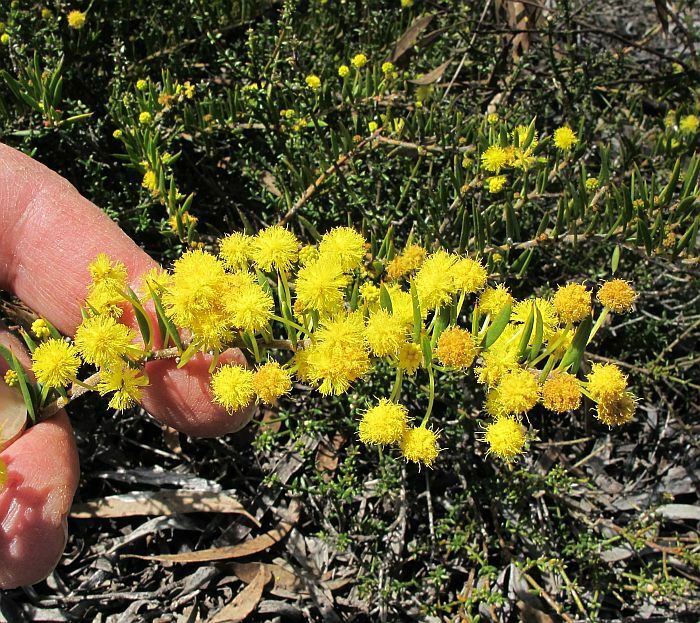 Apart from a couple of isolated collections, Acacia excentrica is largely restricted to the far NE of Esperance and across the Nullarbor, where it occupies an unusual habitat with a specific limestone substrate. 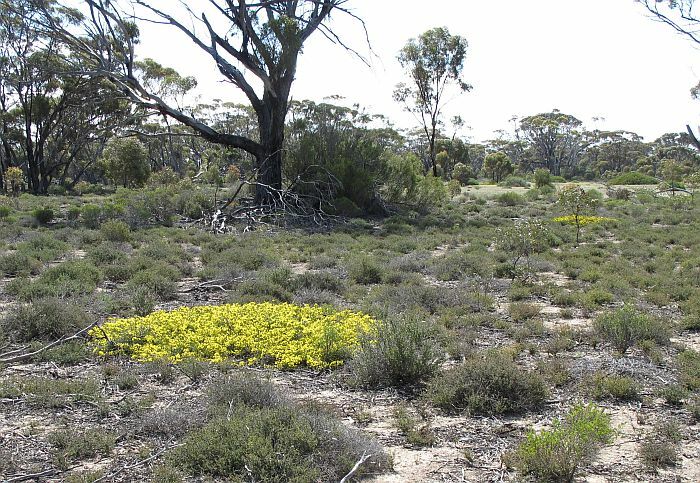 In most mallee habitats the limestone underlying the fine sand/clay loam originates from leached calcareous material to form a crumbly and small nodulated limestone. 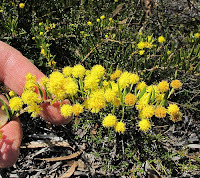 This tends to be sufficiently porous to permit tree root and water penetration; hence it usually supports a range of eucalypts, many of mallee habit (multi-stemmed originating from a lignotuber). 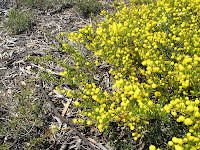 During previous eons in the NE region (east of Mt. Buraminya), there have been marine incursions where the remaining limestone was formed in the sea, which is thick, solid and much too hard for root penetration. 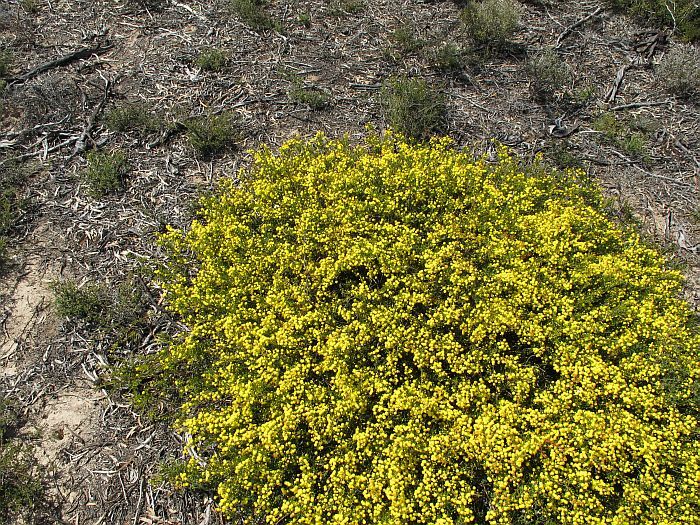 In these habitats, treeless plains occur with a light cover of grasses and small ephemeral species. 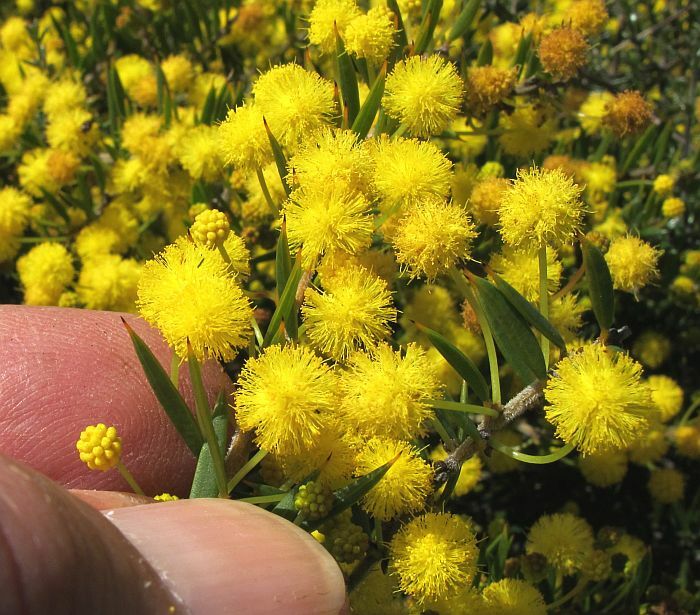 When the covering topsoil is deeper [30 cm (12”) or more], some hardy shrubs like Acacia excentrica manage to make a living. 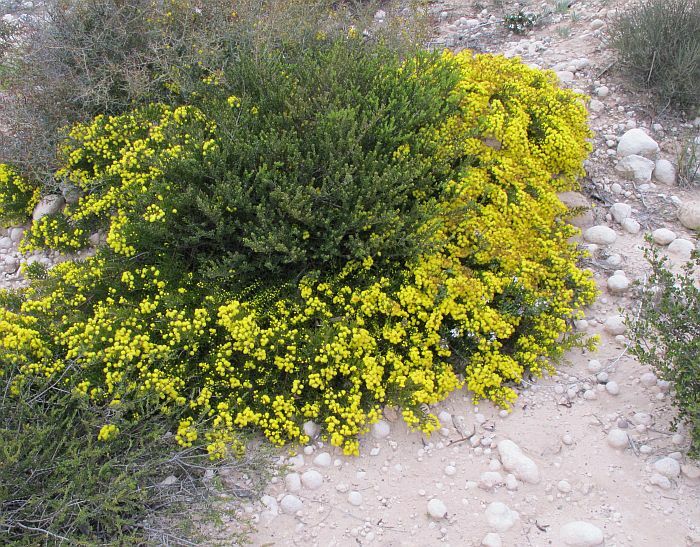 These shrubby areas can be edged by tall trees that have fortuitously taken root in an old blowhole or deep limestone fracture. 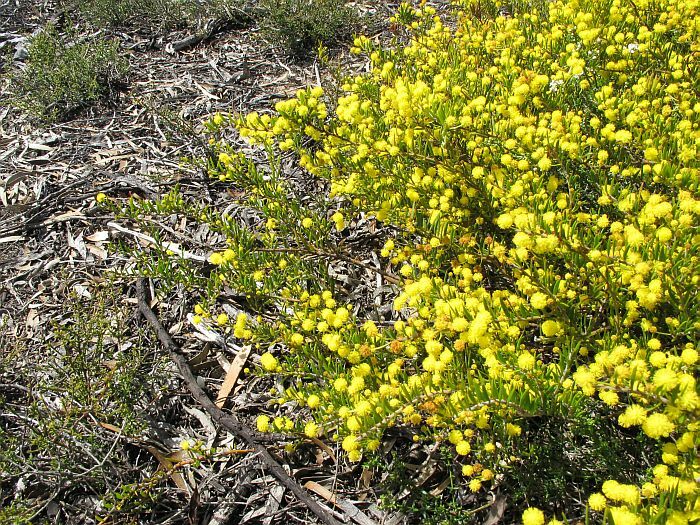 Possibly due to a lack of height competition from other plants, this wattle grows thickly on the ground, seldom exceeding 30 cm (12”) in height, but spreading in a shallow dome to over 3 metres (10’) diameter. 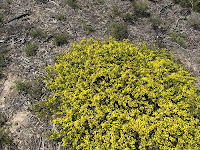 The moderately prickly phyllodes (leaves) are to 2 cm (3/4”) in length and stand upright along the neatly overlying branches. 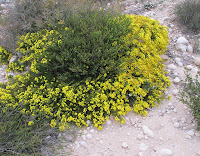 The bright golden/yellow flowers are of similar length to the phyllodes to produce an attractive mottled yellow and green mat. Flowering is recorded from July to October.